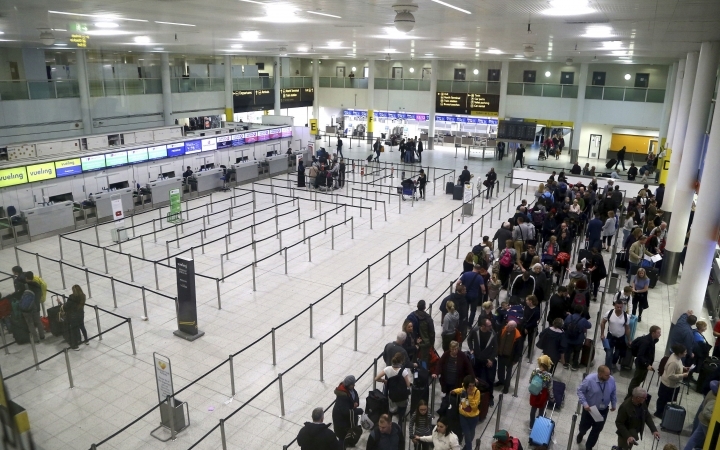 LONDON — London's Gatwick Airport was plagued by long lines and flight delays Saturday but no new drone sightings, allowing British officials to hope the worse was over after two people were arrested in connection with the drone invasion that had shut down the country's second-busiest airport. 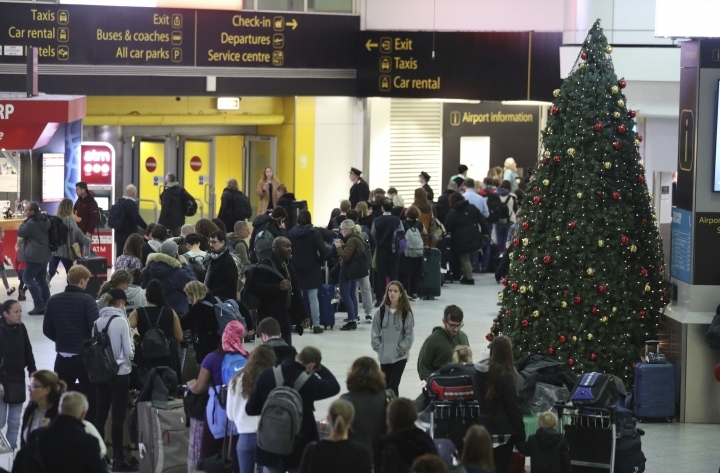 Check-in lines at Gatwick stretched the length of the departures hall as harried travelers tried to make good on Christmas plans upended by three days of extended shutdowns caused by drones being spotted over the airfield. 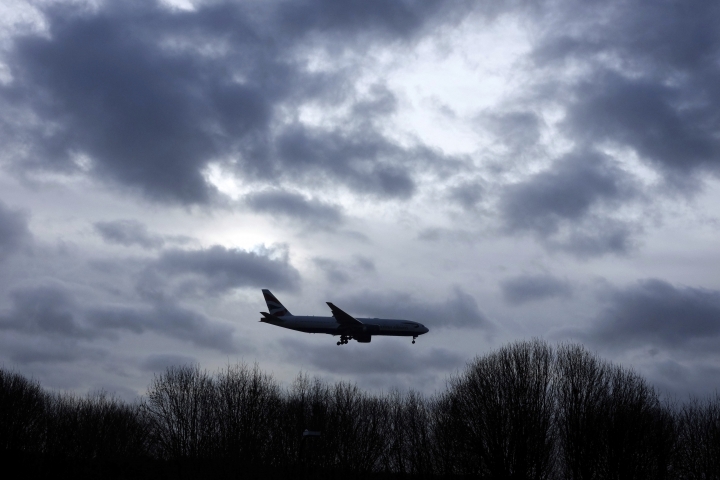 The persistent drone crisis at Gatwick, 30 miles (45 kilometers) south of London, has had a ripple effect throughout the international air travel system since Wednesday night, when the first drone was spotted. 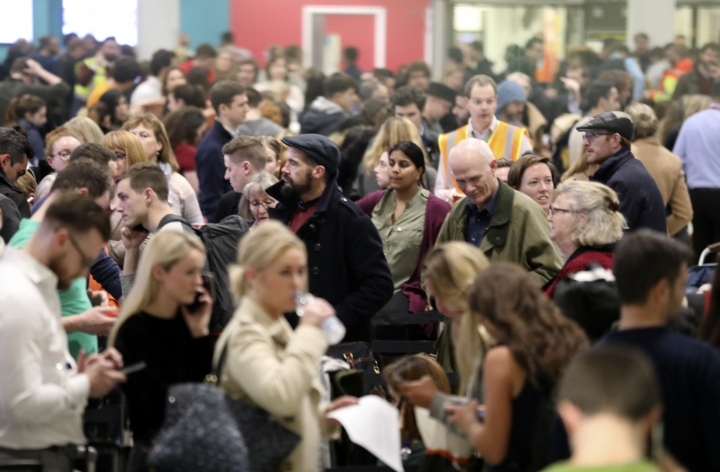 A Gatwick spokesman said Saturday that "things are going in the right direction" and should be back to normal by the end of the weekend after a horrendous few days that saw tens of thousands of travelers stranded or delayed. Sussex police released few details about the two suspects arrested late Friday in the worst drone-inflicted travel chaos to hit Britain. 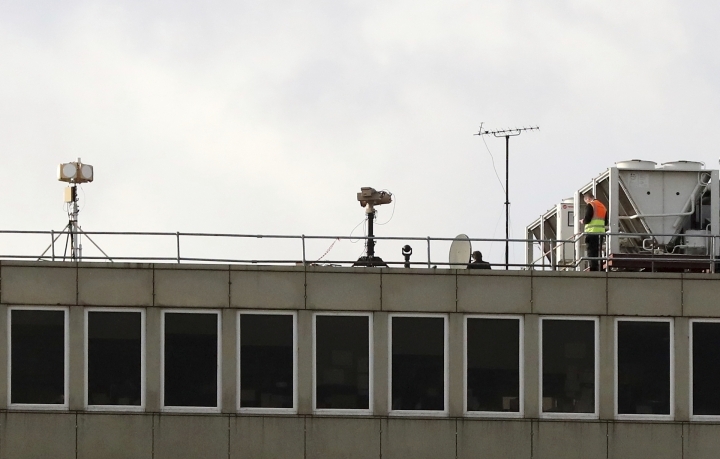 Police say the investigation is ongoing and the military was still deployed to prevent further drone incursions from shutting Gatwick's airspace. Police said Saturday the drone suspects are a 47-year-old man and a 54-year-old woman from Crawley, a town 5 miles (8 kilometers) from the airport. They were arrested on suspicion of disrupting civil aviation. British police have not said if they think the two suspects acted alone or as part of a larger group. The motive for their aggressive drone flights has not been established, but officials say there are no indications it is "terror related." There have been no new drone sightings since the arrests. Gatwick's arrival and departure boards showed that most flights operated Saturday but there were still a significant number of delayed takeoffs and landings. In all, the airport hoped to run 757 flights, serving just under 125,000 passengers. 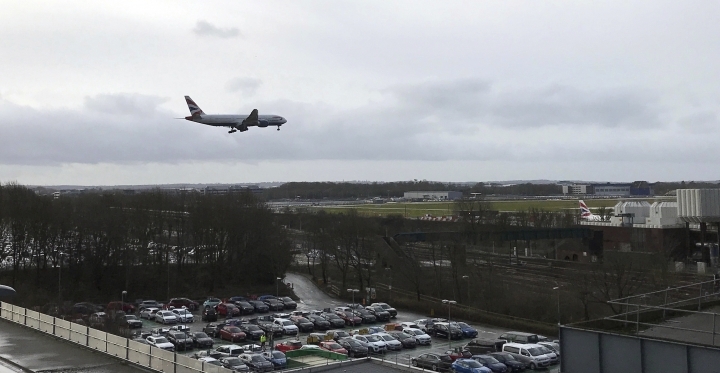 Still, Gatwick authorities urged passengers to check the status of their flights Saturday with their airlines before heading to the airport, which handles 43 million passengers a year. 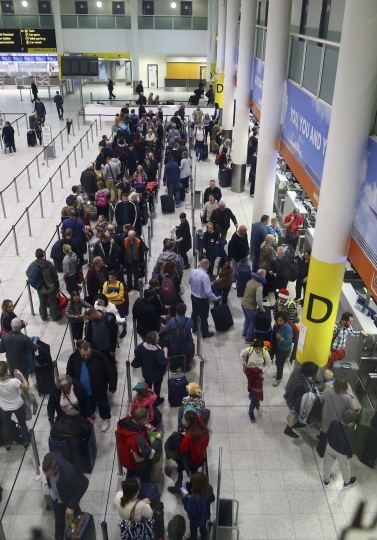 New drone sightings Friday evening caused fresh problems for holiday travelers at Gatwick, which had just reopened in the morning after a 36-hour shutdown. 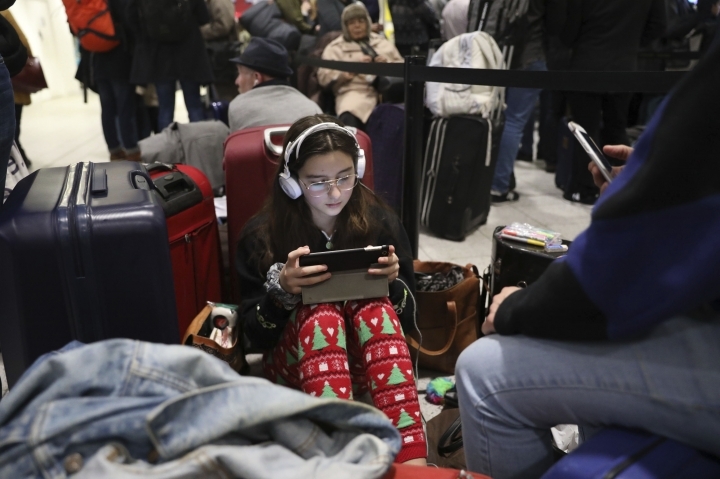 Authorities then had to hastily suspend flights for more than an hour Friday afternoon on one of the busiest travel days of the year. 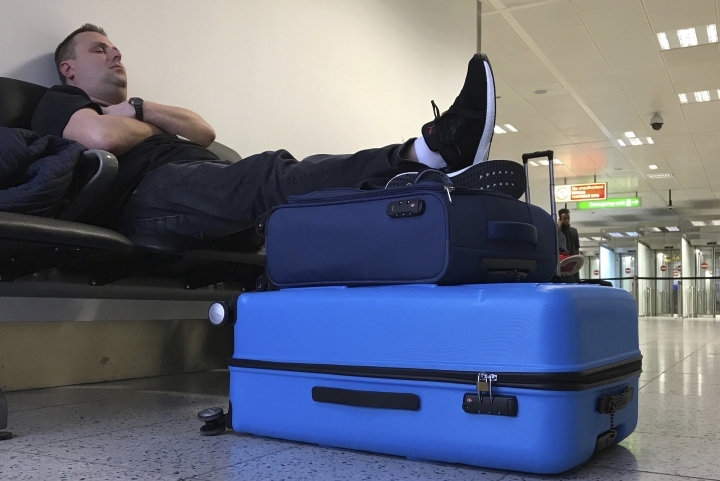 Hundreds of people had to sleep at Gatwick on Thursday night, and many noted how freezing and uncomfortable it was. In response, officials said Saturday they are keeping the airport's two main terminals heated.